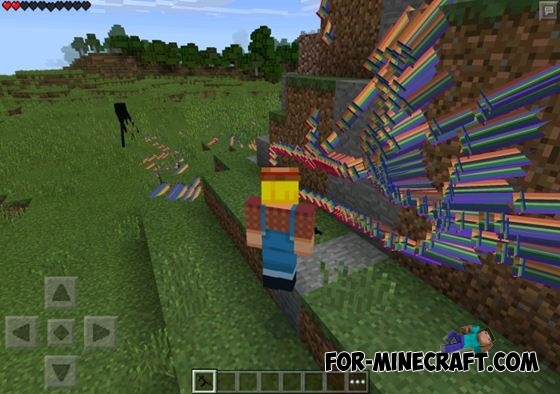 By installing this mod you can get nyan gun that will shoot by rainbow and play nyan cat song. To get the gun, enter the following command in chat: / nyangun. Armed with a gun, press the small button at the bottom right of the screen to activate it. After this, weapons will begin to shoot by arrows, and you'll hear a Nyan Cat song.